Engine pistons play a great role in improving the speed of your car. It is a moving component of an internal combustion engine and is placed inside a cylinder. In some engines a piston is used in place of valves for covering and uncovering ports. A piston is transformed into a gas-tight device with the help of piston rings. Within an internal combustion engine the main role of a piston is to turn force from the expanding gas in the cylinder to the crankshaft thru a connecting rod or a piston rod. There are different types of methods and materials employed in the production of connecting rods. Steel and aluminum are the most common materials used in manufacturing connecting rods. A piston and a connecting rod are like bread and butter. Both these entities are required to work in close co-operation for complete success of a racing engine. Connecting rod is in fact known to be a major link inside internal combustion engine. It connects the piston to the crankshaft and help in transferring power from the piston to the crankshaft. For total fulfillment of your racing needs you must take care of a connecting rod, it's always under good amount of load and has to withstand extreme pressure. Showing special care to your connecting rod will only ensure that it does not fail prematurely. 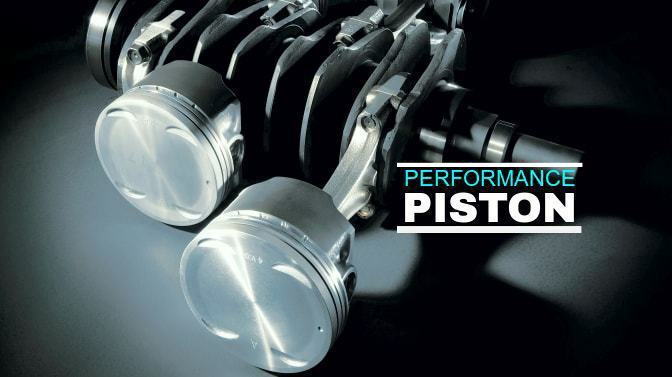 Many fellas these days prefer to use custom piston to increase performance and durability of their car engines. Custom pistons are slightly different from traditional pistons; they are devices which are the outcome of meaningful research and matchless engineering. Custom pistons ensure that you get maximum advantage and performance from your car engine. Only reputed and experienced manufacturers dare to indulge in the production of today's most amazing custom performance pistons and rods which span all areas of motorsports. In addition to piston, valves are also one of the vital components of internal combustion engine. However, when the whole issue boils down to racing valves several aspects has to be addressed such as the valve design, the environment where the valve is likely to operate and last but not the least, the materials from which racing valves are produced. Valve manufacturers of today are building valves by using different materials such as stainless steel, bronze, plastic and so on. One kind of racing valve that is growing popular these days is the titanium valve. Many valve manufacturers are trying their hands in the production of titanium valves. However, for creating good quality titanium valve a manufacturer needs to know titanium by its heart and soul. That is why manufacturers have come up with a unique manufacturing process known as trick's manufacturing process to provide you with genuine titanium valves. Going by this process all titanium raw materials are tested for chemical purity, uniform grain, and microstructure and are sonically tested to ascertain that they are imperfection free. Besides, all titanium valves are strengthened by a Trick proprietary solution annealing and stabilization annealing process. This is why titanium valves are accepted as strong and durable valves fit for accomplishing racing needs.